This battle isn’t the recent pay per view box office hit you watched on the weekend, but a battle between Sage One and Sage Live. What makes every great match-up so eagerly anticipated is a level playing field, in this case there are a few factors making these systems so different. If this was a boxing match, it would be more like a Featherweight vs Middleweight match-up. Let me tell you why. Sage One is an entry level system. This system is tailored towards small businesses who are after something to manage their accounts as an alternative to excel. One of it’s most exiting features is it’s connection with the bank where you have bank flows going directly into Sage to match against invoices. Unlike a clunky solution in excel, Sage One also allows you to send invoices through the system, track what customers owe and watch your banks for payments received. This system is ideal for your plumber by day accounts by night individual where your business is a one-man army right now. This functionality in Sage One is fairly standard in any other Sage small-mid ranged accounting product. What makes Sage One great is how well it targets it’s audience. Sage One lands a big punch in this match-up with its price tag, from £10 per month. That’s a point up on the scorecards for Sage One. Sage Live is Sage’s new flagship product. Being fully cloud based and built on the salesforce platform, Sage Live represents the new era of accounting systems. 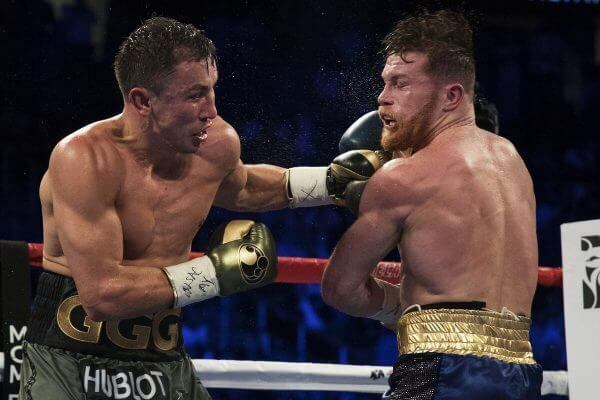 Look at Sage Live as the Gennady Golovkin of accounting systems. Sage Live lays on a storm of blows onto Sage One with its dimensional accounting capabilities. Allowing reporting to be extremely detailed using dimensions and tags. More of Sage Live’s arsenal includes it being a multi-company, multi-currency and a multi-lingual solution. You also have the ability to connect the front and back of office with Sage Live linking in sales, projects and other areas of the business all into one solution. Its capabilities are endless, it’s highly customisable and it’s built on the salesforce platform. With Salesforce, you can access any other purchased product built on the salesforce platform in the same place as Sage Live. They should have been in the same weight class! At this stage of the fight Sage One is looking out on it’s feet. The mass of functionality Sage Live possess is far more than Sage One. This would be expected of as they are targeted towards two different audiences. Sage Live is far more scalable and it’s targeted towards bigger businesses anywhere in the range of small through to the high end of medium sized…it’s a monster in comparison to Sage One. But give credit where credit is due, Sage One does its job brilliantly targeting start-up and small businesses. As an alternative to excel, Sage one is a no brainer and it has great functionality for that size. 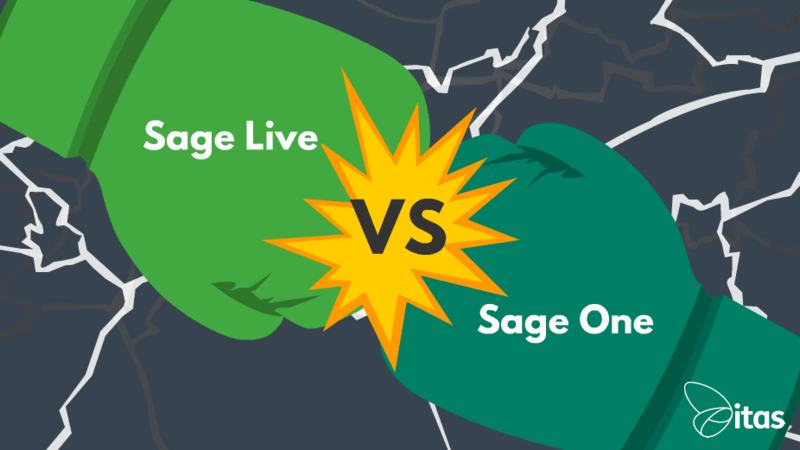 After some exchanges, Sage Live doesn’t wait around in landing the knockout punch with it’s competitive pricing. Being cloud based, you are already saving money on computer hardware and server costs and Sage Live is still priced at £85 per user. Very competitive for an SMB business solution. In all reality, Sage One is a great product and you wouldn’t compare the two. If you have the budget for Sage Live, Sage One probably shouldn’t be in the same conversation. Your typical clients for Sage One include start-ups and businesses containing very few employees with basic processes. On the other hand, Sage Live is for bigger businesses with complicated processes ranging in sizes, or those looking for a platform that can handle growth. The typical businesses using sage live are usually service based, Charities, Recruitment all the way through to bigger International Corporations. Both systems are excellent for their targeted audiences. If this was a straight up match-up on functionality, Sage Live would come out on top every time. But for smaller businesses with limited budgets where managing finance isn’t an integral part of the business, Sage One is ideal. You would choose a basic system like Sage One over Excel every time. A system that already is set up, ready to go and makes it easy to manage your accounts is a no-brainer in comparison to excel. For that jump up to a larger solution, Sage Live has the scalability to cater your needs. With Sage Live you don’t have to worry about whether the system can contain the pace of your growth, instead you can focus on driving that growth. Liam is one of the key members of our Sales team. When he isn’t talking to clients or on-site, Liam enjoys a spot of retail therapy and anything football on the weekends. He started out at itas working as a Sales Executive, he’s now working in a Lead Generation/Marketing role concentrating on all Sage products. Fun fact, Liam used to be on a TV series called Pawn Stars Uk where he would buy and sell antiques.